So here is a study for a painting that I promised my wife for her birthday back when she was still “just” my girlfriend. I guess we learn just a little more about the bunny culture in this one, but I wish there was just a little more going on here in terms of narrative. That is part of the fun and mystery of art, I suppose, to go to places that you don’t quite control, to try and feel out what is right. 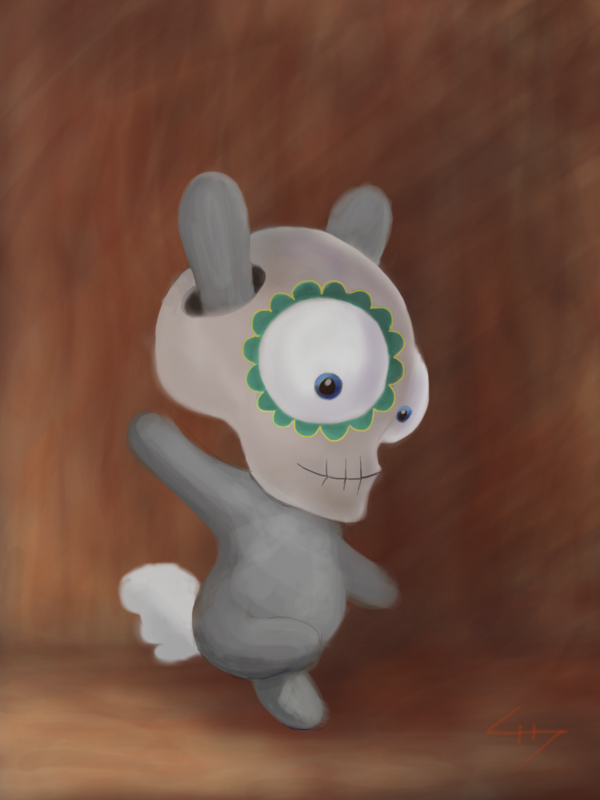 I actually wanted to imply a head tilt, but then I didn’t paint the ears that way, so it looks a little stupid. Aaaaaaoooooh well. If there is one lesson that I am learning over and over again as an artist it is that sometimes you just have to redo your work a million times. In this case, the colors are there, so it’s back to the sketching phase, and then straight on to the oils. Weird, I am actually talking about art on my art blog. What is going on? This entry was posted in Digital Art, Originals. Bookmark the permalink.